← Early Warning: PhD Student Wanted! 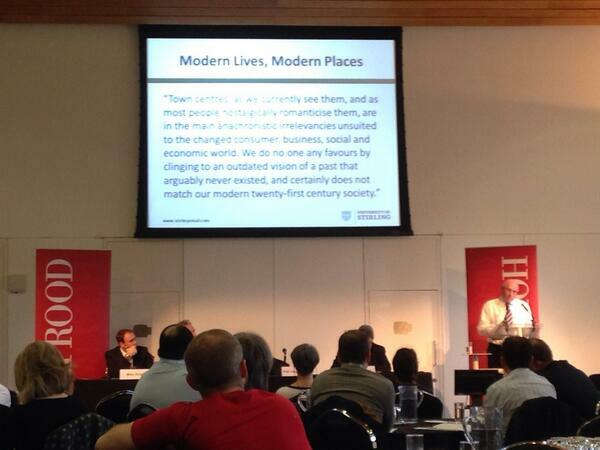 Regeneration – of Place and People? I attended a couple of events at the end of last week which caused me to feel a little more positive about some of the things going on in Scotland in terms of retailing and towns. On Thursday I was in the audience for the last presentation in a series organised by The Stirling Civic Trust. On this occasion it was a double-header by Jane Nelson from Stirling City Heritage Trust and Lindsay Lennie, the expert on historical shopfronts and shopfront conservation (her web site is here). Jane told the story of being asked to look into the concept of ‘Monumentenwacht’ (a proactive maintenance scheme for traditional buildings) and proposing such a scheme for Scotland (the executive summary of the report is here). On the back of this Fiona Hyslop approved a pilot Traditional Buildings Health Check Scheme; the pilot programme is being set up in Stirling, managed by Stirling City Heritage Trust in partnership with Historic Scotland. In the meantime Jane and Lindsey have also been working together on restoring a set of shopfronts in King Street in Stirling. 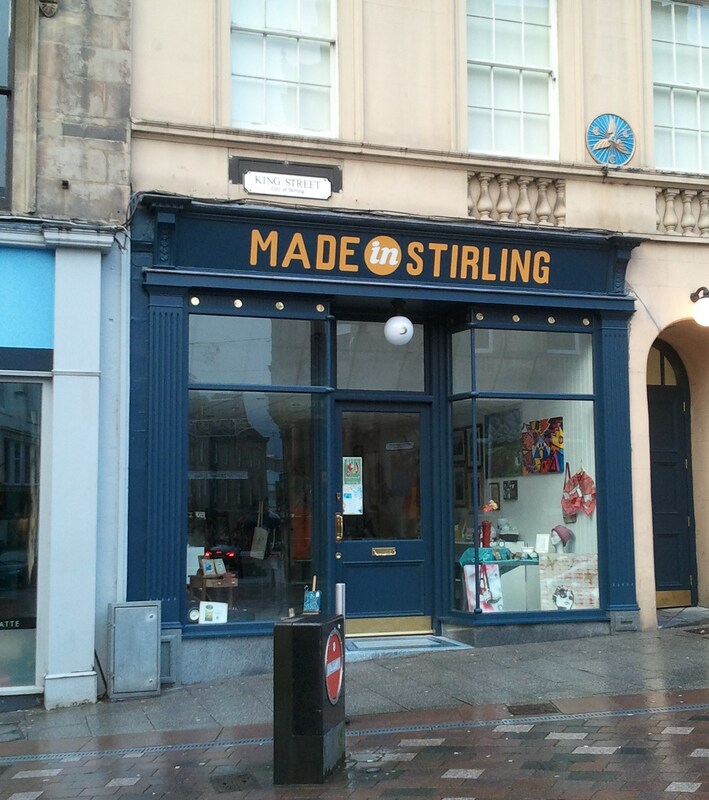 Stirling City Heritage Trust appointed Lindsey to assess 15 city centre shops for a pilot Facade Enhancement Scheme. This involved a detailed assessment of each shop including background research in the local museum, archives and library. The shops were primarily of inter-war date including two marble-fronted shops dating to 1936 and a row of particularly attractive bungalow shops dating to 1930s. The final report made recommendations for the 15 shops in terms of their conservative repair, signage and security measures. Available funding from Stirling City Heritage Trust and Stirling Council has been used to renovate and repair these shopfronts with improved and appropriate security measures where required. The sense of place and the recognition of the very varied but vital physical urban heritage we possess came shining through. We need to make sure we harness this for the towns of the future, as much as to recognise the past. The following day, along with quite a few other folk, I was at the Regeneration 2014 conference at Dynamic Earth. 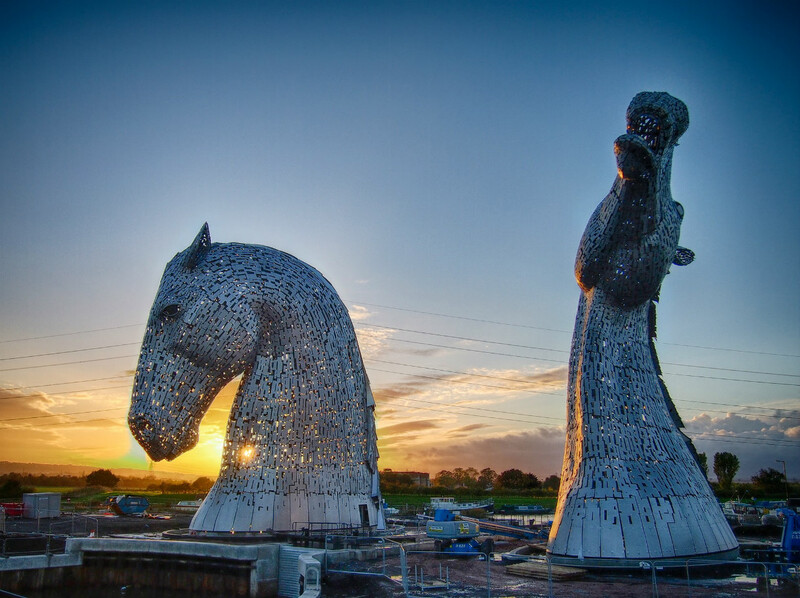 Opened by Derek Mackay, the Minister, who was followed by Malcolm Fraser, the architect who led the National Towns Review, the day looked at the opportunities, the barriers and some of the future developments for towns and cities across Scotland. Great case studies on Dundee, Stromness and The Helix at Falkirk enlivened the less place specific presentations. My contribution was a piece on the future of retailing in town centres. In this (and the slides can be found elsewhere on this blog site) I was keen to make the point that despite the structural and spatial changes underway, retail will still be a big part of the central areas of places. It will be different retail in some cases, with altered foci, but retail remains a key part of towns and places. We are not in a post-retail world whatever some may say. I won’t go through the day in terms of the presentations, but what came across to me was the changed focus in behaviours being illustrated across Scotland. From the National Review and the TCAP, through Charettes and other ‘engagements’ (including the forthcoming Community Empowerment Bill), the Scottish success of Business Improvement Districts and work on the ground (a la Dundee, Stromness and Falkirk) there is a dynamism and change about place, whether large or small. This entry was posted in BIDS, Charrettes, Community Development, Government, Heritage, High Streets, Historic Shops, Places, Regeneration, Scotland's Town and High Streets, Shopfronts, Stirling, Town Centre Review, Town Centres and tagged BIDs, Heritage, High Streets, Places, Regneration, Retail, Scotland, Town Centres. Bookmark the permalink.